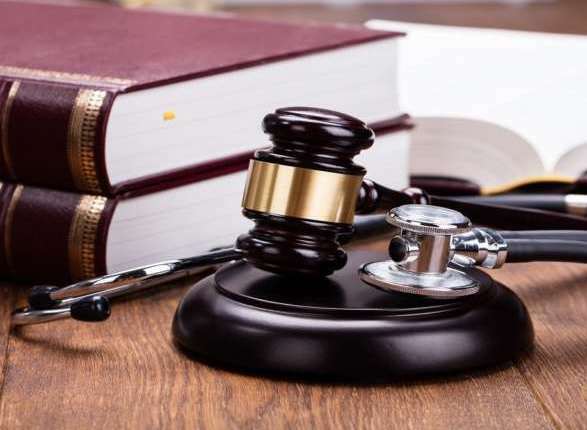 On 18 March 2019, the American Board of Internal Medicine responded for the first time in opposition to the federal class action lawsuit filed against it by four internists in early December 2018. The 39-page memorandum accompanying their proposed motion to dismiss is re-published here without comment for physicians to read themselves. Physicians wishing to contribute to the support of the four internists involved in this case are encouraged to donate to this GoFundMe page. Tying argument in the legal brief claims certification and maintenance of certification are a single product, but it does not mention the recertification exams nor the on-going fees to remain in the program after initial certification. Ballard Spahr's gloss-over legal response -- in behalf of the ABIM's executives and board members -- fails to address any of the real claims against them. It's nothing more than a doggy mishmash of superficial references randomly selected from BS's state and federal data registries. Or haphazardly from the legal library. For example, "Qualcom vs. Broadcom"? Really? It's as though ABIM's legal team was born yesterday (hello!) conveniently forgetting perhaps that Philadelphia is recognized internationally as one of the most corrupt environs in the US. ABIM's executives have exhibited their fair share of that unbridled local corruption without account -- at least until now. The only reason they might be making appearances for the public (ABIM "we are transfomed" campaign) is that they are being scrutinized for the first time along with their 23 other manipulative counterparts and obsequious umbrella -- the "advisory board" the ABMS et al can sometimes hide behind. Conflicts of interest has been the way of life for the ABIM for decades from serving big tobacco in the 1960s to "serving it up" for big insurance companies along with the partisan and corporate cronies today. Unprecedented corruption unchallenged by the DOJ. Who was leading the charge. None other than ABIM's own bullshitting politician, Christine Cassel. There is nothing worse than a non-profit organization bullshitting the public with newspeak for decades while they serve special interests and play the corrupt tunes of the highest corporate bidders. ABIM's response to the lawsuit could be summarized briefly. Ballard Spahr attorneys are like a bar tender buffing the counter and pouring everyone a sudsy light beer, saying "nothing to see here folks" while "big stakes" hoods are in the back room involved in a gangland shootout/knife brawl vying for control of their big piece of the healthcare turf. The richest take in the history of the US gross domestic product. They are working for their elite stakeholders -- "strongman bosses" who want to pinch for themselves and partners as much as they can of the gargantuan medical industrial complex revenues. In a nutshell, the medical specialty boards have been monetized and politicized beyond recognition, while keeping the tax advantaged storefront open. Physicians are being screwed like a moll for control and profit and and patients squeezed like a dry lemon. I hope the judge in this case is old enough to recognize the worst kind of flimflam corruption (on an unprecedented scale and degree of sophistication uneard of in US history) and young enough to still be able to smell it. The ABIM is laughable. Emperor's new clothes over and over with each getting worse. The ABMS and 24 medical specialty boards (with ABIM as the flagship) are run like a lucrative franchise of investment companies using captured physician's own money. They ABMS medical specialty boards utilize a large force of "volunteer" academic test writers and the executives in charge partner with their "symbiotic stakeholders" (or shareholders) who all profit from the MOC Ponzi scheme and other less advertised capital ventures. Part of the scam is to offshore profits to hedge their investments and reduce liability risk, while claiming "grandfathered" Federal, State, and Local tax advantages -- courtesy of the American taxpayer. ABMS/ABMIM et al has been a highly profitable business franchise with huge payouts and perks going to those on the top rungs of the ladder. Executives have been doing their moneyed song and dance on the apex of the pyramid for decades. It is time to stop MOC. In-house consultants hired for their business, legal and lobbying acumen and not their value as quality assurance experts define the modern corrupted version of the ABMS.